You there - no wagering, please. 8x10 inch glass negative by Edward H. Hart. 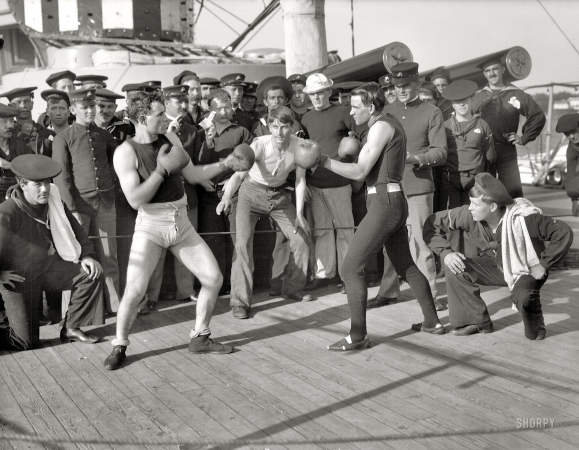 July 3, 1899, aboard the U.S.S. New York. "10-round bout, anniversary of Santiago."